When you hear the word “waste”, do you think about garbage and domestic waste? What you don’t realize is that the opportunities are limitless. Waste management in India is a big umbrella wherein there are various opportunities. Understanding your niche can help you in the longer run. Waste management starts with the collection, transportation, and segregation of waste to treating them with proper government regulations. India, with its growing population, produces around 60 million tons of waste annually and it’s just the tip of the iceberg. In India alone, waste management industry’s worth is expected to be USD13.62 billion with a growth rate of 7.17% annually by 2025. If you want to take up waste management and turn it into a profitable venture, the options are unlimited. Not only will you be starting a business which is lucrative, but you will also contribute to the goodness of the environment. Following is a breakdown of the different types of waste management. This includes individual and household waste like kitchen leftovers, papers, cardboards, plastic waste, etc. 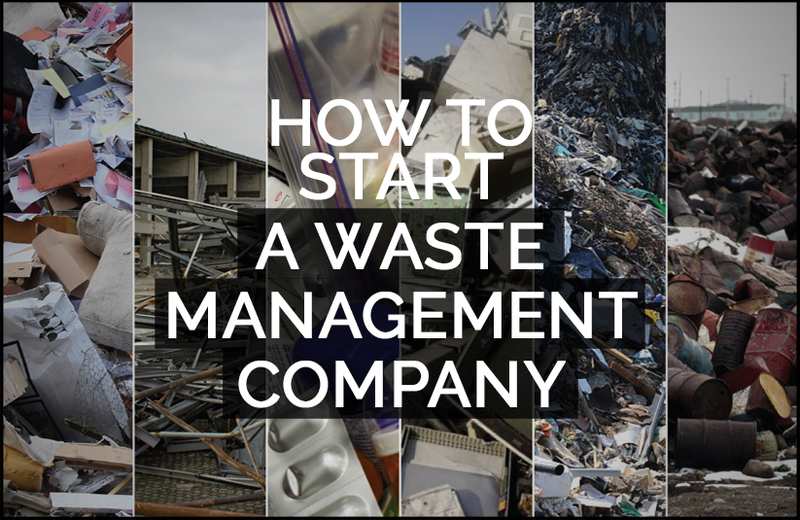 To start this kind of waste management company, you need to invest in a hauling truck and need to know the details of your local landfill. Sometimes, you can sell the collected waste directly to industries and make a huge amount of money. On the other hand, domestic waste excluding plastic can be recycled into manure and can be sold at a premium price. This is by far the fastest growing solid waste services in India and around the globe. With the growing tech industry, the need for proper e-waste disposal has become quite a daunting task. Without proper waste management, more than 70% of electronic items end up in the garbage landfill causing serious environmental damage and health hazard. So this is where entrepreneurs can take charge and make a good fortune out of it. With proper waste collection and segregation system in place, the usable and refurbished electronic devices can be sold through dealers and online marketplace. The electronics which can’t be used can be broken to extract metals like aluminum, iron, and copper which can be sold to industries. With growing population in India, the need for healthcare also increases. Healthcare in India is a booming industry with a compounded annual growth rate of 8.41% and this is where medical waste management and disposable comes into place. The waste includes discarded body parts, syringes, medical device, soiled clothes etc. While there are strict regulations regarding the disposal of medical waste, entrepreneurs can turn this into a successful venture. The term “medical waste” can seem a little gross but it can be a lucrative business in the long run if done right, keeping all the legalities in mind. The never-ending urbanization and development have given rise to a steep increase in construction activities. The never-ending waste and its management become problematic. You could make use of this opportunity by collecting and selling the waste for overhaul and resale. This includes steel scraps, electrical wires, nails, etc. This is where Commercial waste disposal companies come into play. It focusses on collecting waste from offices and business premises rather than collecting garbages from individual households. Hazardous waste is materials which exhibits one or all the traits namely Ignitability, Reactivity, Corrosively and Toxicity. They are waste produced by chemical production, manufacturing, and other industrial activities. These are toxic waste in forms of any forms solid, liquids, fumes in containers etc.Treatment and solidification processes might be required depending upon the physical properties of the waste generated. This industry is expected to reach US$ 37k million by 2022. You could also set up a waste management recycling unit which could profit you largely in the long run. It’s quite an extensive capital investment which generates profits in the longer run. Identifying your niche helps you formulate a proper business plan. You could either choose to venture into a single waste management business or combine any of the above services. Yourbusiness plan should include your plan for getting funds, the target audience, your marketing plan, your pricing model and how you are going to have an edge over your competitors. You should also keep in mind the economic trends and government regulations while chalking out your business. Finances for your business–whether you will be funding your venture on your own, approach banks for loans or approach an investor. Demographic location depending on your finances. Your business objective to reach your final goal. This may vary depending upon your budget and your scalability. The rent for your premises: For any waste management services, you need to secure your own space so that the waste can be collected and treated, and accordingly be sold. Employee wages: Employee wages should be set as per government norms. Cost of transportation trucks: This depends upon whether you would be renting a hauling truck or investing in a truck of your own. Employee gears and equipment: Since employees would be working with garbage, it is your responsibility to invest in heavy work gear including comfortable cloths, gloves, face masks and rubber boots. Incinerators is an essential part of any waste management business setup to burn the waste materials in high heat until it becomes ashes. Before starting any business it’s important you know your target audience and your market you are focusing on. Doing a through Market research helps you in analyzing the current market trends. You get to know who your competitors are and how to position yourself in the market. Market research findings helps you to achieve your business goals thereby increasing overall business profit. Its helps you take futuristic decisions based upon your current market findings and tweak your business accordingly. Before embarking into waste management service, you need to register your businessto get proper permits and licenses through your state and municipal corporations. You need to have proper knowledge of your local landfills. With government formulating new policies, you have the option to project yourself as a socio-economic business venture. With the large untapped market in the waste management sector, getting your hands dirty might be the way to proceed! So, what are you waiting for? Take the plunge and start your entrepreneurial journey!